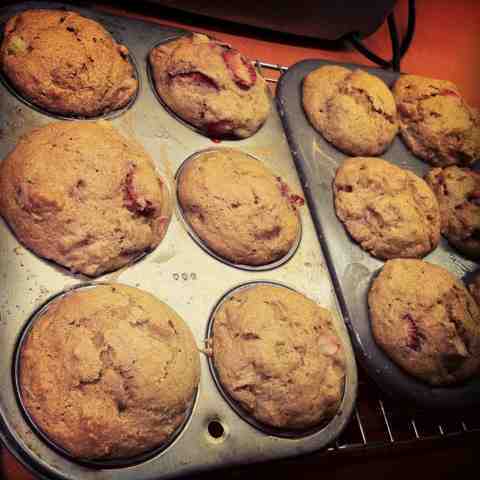 Perfect muffins for strawberry rhubarb season! I made these with fresh rhubarb from my mom's garden, and strawberries from the market. They turned out delicious! New favorite recipe. Mix dry ingredients. Add rhubarb. Mix in wet ingredients.